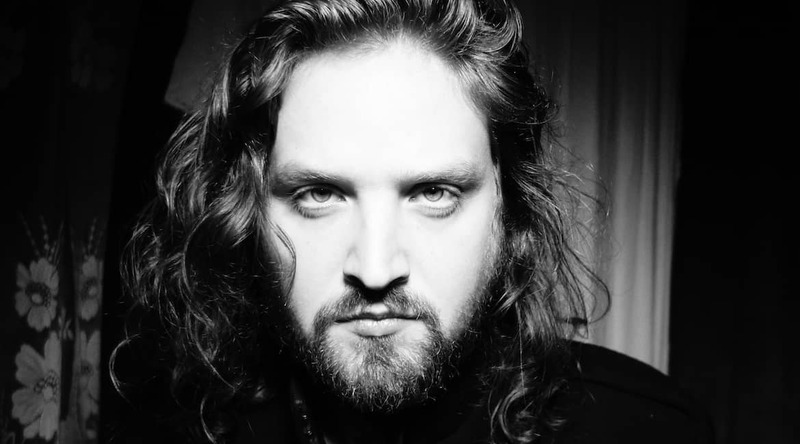 Will Varley came to Southampton ahead of the release of his latest album, Spirit of Minnie. We talked in the upstairs room of The 1865 and after complementing the 1970s décor and talking about the possibility of Varley being paid in beer, we discussed how he won’t play unless there’s alcohol (he’s not joking), his latest album and how he really likes watching TV. For anyone who hasn’t heard you how would you describe yourself? A slightly socially awkward drunk who probably should be watching more TV than I’m allowed to. Well, I really like doing nothing sitting around watching TV, but I’ve been touring quite a lot. I’m quite concerned actually because my wife’s having a baby. In May, so I don’t know how much doing nothing I’m going be allowed to do. I really like doing nothing. Babies kind of interrupt that a bit. Yeah, it’s quite scary because I’m touring for three months and not a lot of doing nothing and then a baby for like 30 years. I think a bit more than 30 years! I think after 30 years you can sort of just chuck them out. I mean, after 20 years really. But my parents were kind of quite nice to me, they let me live there until I was at least 22, 23. And they still call me! So you have a new album out on Friday? I don’t like it when other people release things not on a Friday, it throws me. Yeah, it used to be Monday, when I first started putting records out in 2011 Monday was when you put albums out. It’s to do with streaming or the charts as to why it’s changed, but it used to be Monday to Monday and now it’s Friday to Friday. Friday is also your biggest show to date at Shepherd’s Bush! How do you feel about that? Slightly terrified. It’s quite a strange way to spend your life, isn’t it? Touring and writing songs, it’s all quite self-obsessed in a way. By definition, it has to be and so you have a night like that and it’s just a bit like a birthday party. Like when you’ve invited everyone to come to your birthday party and you always feel a bit weird, don’t you, it’s not a very natural thing. Naturally, I like to do nothing in my own living room. This is like the opposite of that – being a support, you don’t have to do as much. It all gets organised for you. You could probably watch at least one episode of something on Netflix. For sure! And the other thing is you kind of you don’t have to worry too much about ticket sales or all of that sort of side of things. I’m going to be behind the bar all night tonight, I’m just going to be serving drinks behind there all night as if I’ve got a real job. Do you not think this is a real job? Of course it’s not, it’s not real. Because there’s a crate of 24 beers over there, it can’t be a real job! Although I won’t play if there’s no alcohol. I’m serious. Is it weird to you that your album is out on the last day of tour? Was that intentional? It is a bit weird yeah, you usually start touring the album after the album’s out but it’s just the way it’s happened. Shepherd’s Bush has been on the calendar for quite a long time, this album has taken over my life a little but it’s really nice actually to have both things on the same day. Again it’s more along the lines of it’s my birthday, it’s kind of a big celebration of the journey that me and a few other people have been on the last few years. It feels like a moment of reflection really, I think it’s going to be quite a big show for me mentally, equally so is tonight. I love Southampton, it’s one of my favourite cities. In fact every city on this tour I’ve been to a lot before and means a lot to me. There’s just a really great vibe in Southampton. It’s been good, it’s been pretty full on. And this album is your first with a full band – how has the process been different? The first day of recording when I rocked up with the band was quite scary because I knew what I was doing before, I’ve done it four times before so I can do it again but one of the reasons I wanted to do this because I don’t like the idea of getting too comfortable creatively, so it felt like a nice change. I didn’t want to feel like I was just doing the same thing I’ve done before.